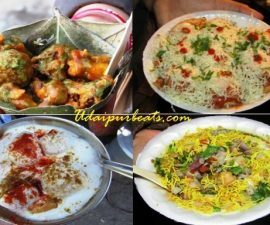 The heat in the city is at it’s peak and there is a great need to cool ourselves with the refreshing drinks and ice-creams when we move out of our homes so here are some icy cool delectable things which you can grab under Rs 30 in Udaipur to beat the heat. This is the most amazing thing you can have in the scorching heat to relieve the body heat. 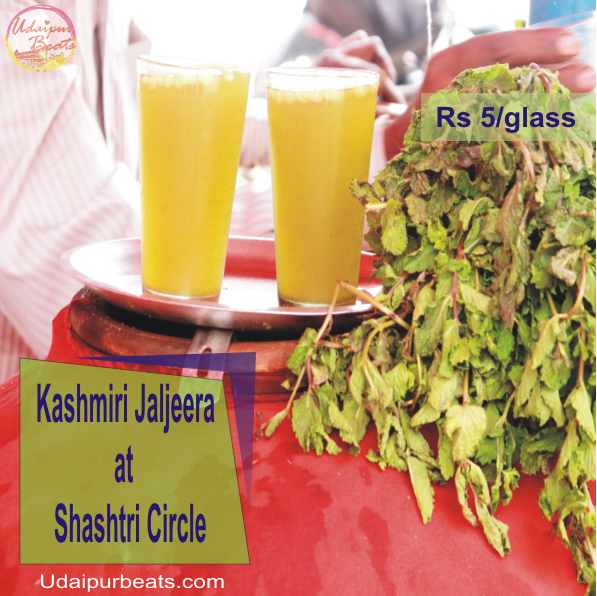 This refreshing drink has the goodness of lime, gooseberry(amla), mint(pudina) and black salt. 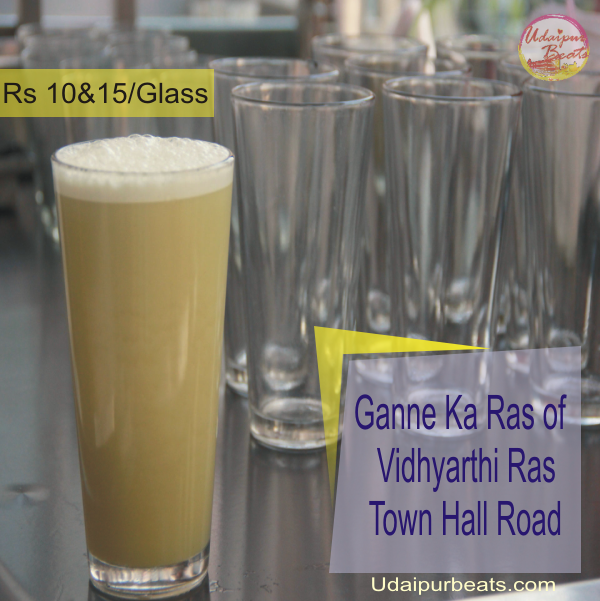 The drink is the usual green textured with ‘boondi’ floating over it, it has the addictive sour taste with the flavor of ‘Mint’. 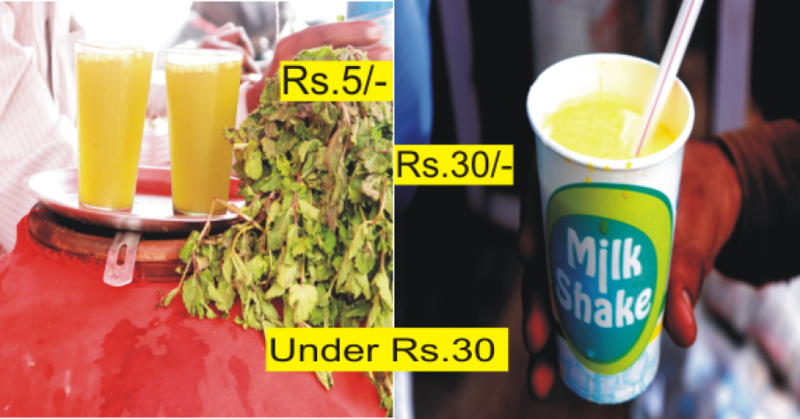 Overall a great drink in 5 Rs. If you are fond of shakes then this is the place, they serve the thick shake in three flavors Pineapple, Chocolate, and Strawberry, we tried the Pineapple flavor and it was absolutely amazing, the semi-frozen part of the shake felt so great inside, the extreme heat in the atmosphere made the shake furthermore relishing. 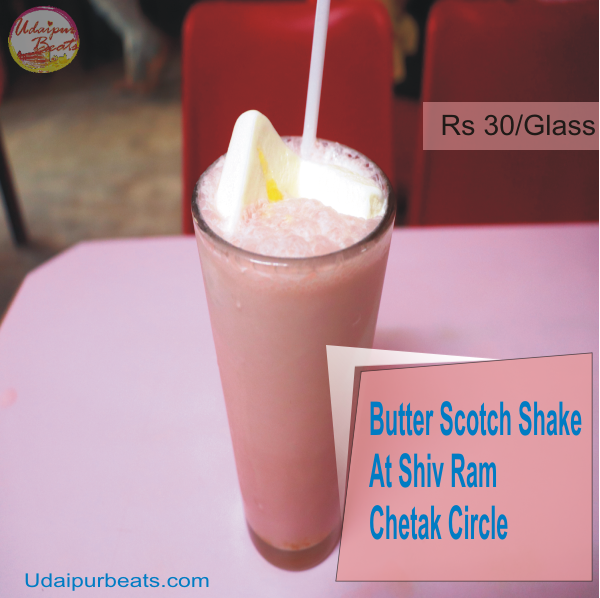 This is my favorite drink since years, the taste is addictive, if you love butterscotch flavor then must try the butterscotch shake otherwise you can also have other flavors like black current, vanilla, strawberry, and pineapple.You can have plain shake or with icecream, they charge 10 Rs extra for Shake with Icecream. 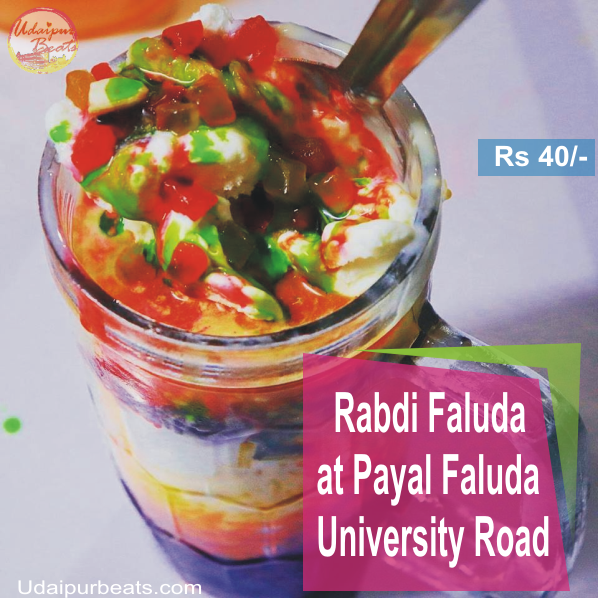 This is the best faluda available in Udaipur for this price, the faluda comes in a standard cupglass with ‘lachhi’, crushed ice, rabdi, double scoop icecream topped with different colored syrups, tutti fruity, and dry fruits, the taste is great and this faluda is highly recommended.They don’t put the ‘Sabza’ seeds which is very uncommon in Udaipur. 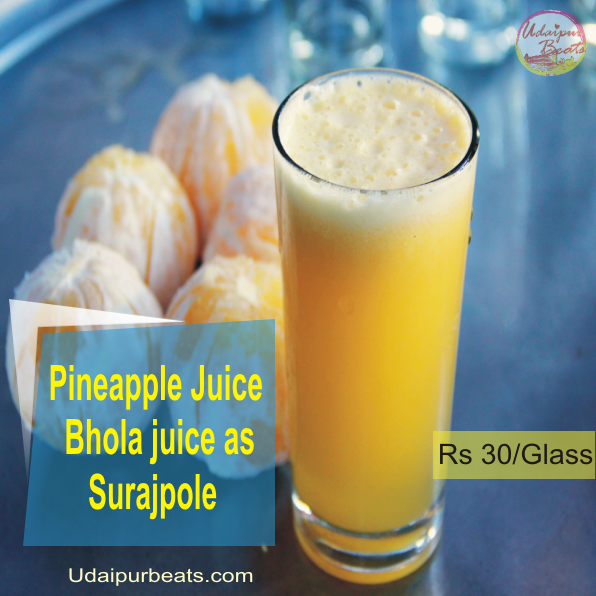 For a pure, thick pineapple juice, head on to Bhola Juice centre, it’s a big shop selling the pineapple juice and other fruit juices but their fast selling, they sell a good quantity of pineapple juice in a day, the price of the juice is 30 Rs and the juice is so refreshing and delectable. This is one of the oldest shop of Sugarcane juice, they serve the freshly made sugarcane juice, the juice has the flavor of mint, lemon, and salt.Their bigger glass is so huge that it barely fits your palm unless you have a giant palm, after having the bigger glass you will feel your stomach heavy with sugarcane juice.The juice is chilled and tasty. 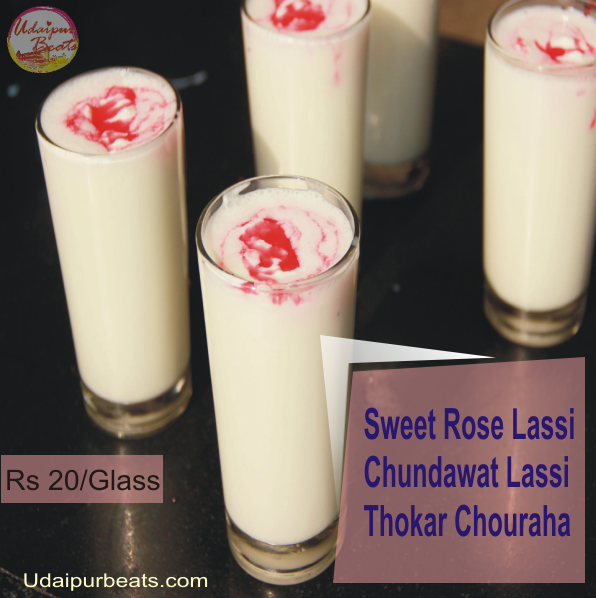 Lassi is considered as the most healthy drink of summer, sweet lassi at Chundawat lassi is popular for years, you get the sweet lassi with the thick cream topping and rose flavor syrup added to it. It gives instant refreshment and energy. 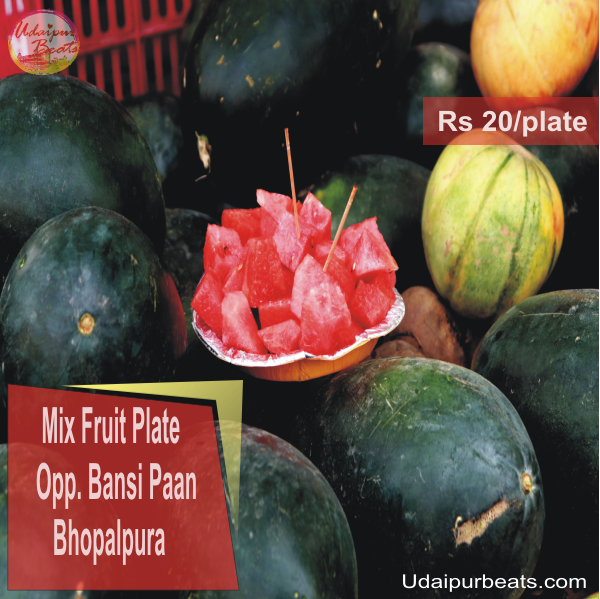 The fruit plate is a nutritious option to have in the tiring heat, the plate has four juicy fruits, pineapple, watermelon, beetroot. 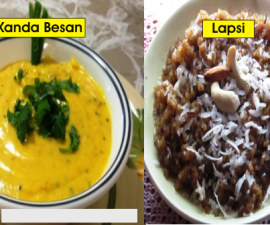 All the fruits provided on the plate has a good amount of water, minerals, and vitamins which actually benefits the body and keeps it hydrated. 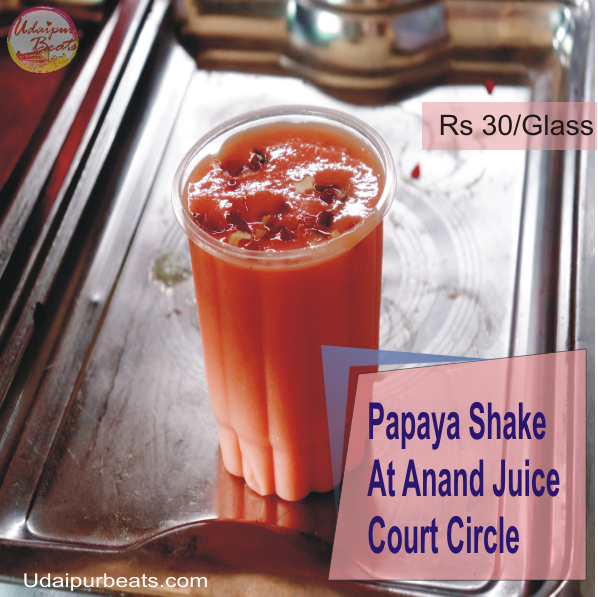 The papaya shake at Anand juice center is very popular among the locals of the city, it is thick and prepared with milk, ice and strawberry ice-cream with the topping of tutti fruity and dry fruits.This chilled shake can bring temporary relief from hunger and can chill you in the summer. 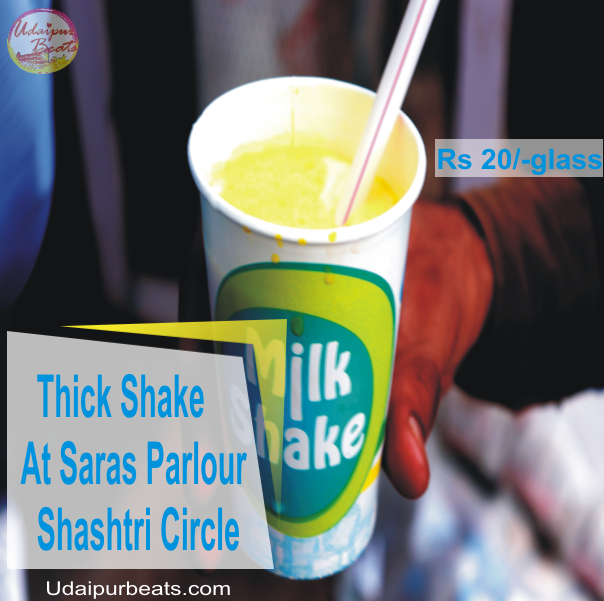 Address-Multiple stalls in the city, University Road, Shobhagpura Circle etc. 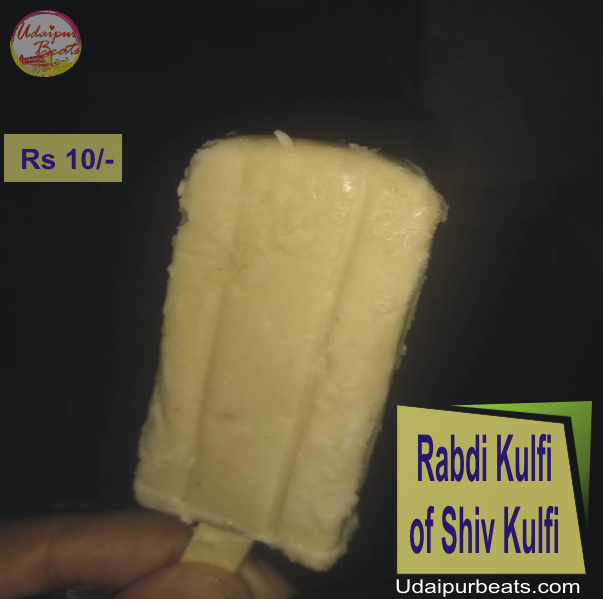 The Rabdi kulfi of shiv kulfi has amazing taste and if you are a kulfi lover you will enjoy this kulfi. 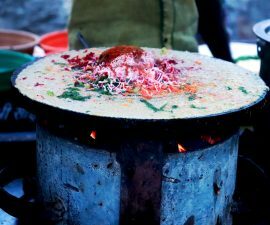 There are multiple stalls of shiv kulfi, you can spot it at university road, Shobhagpura circle or anywhere else in the city.